Farnam Thrush Relief, 16 fl. oz. 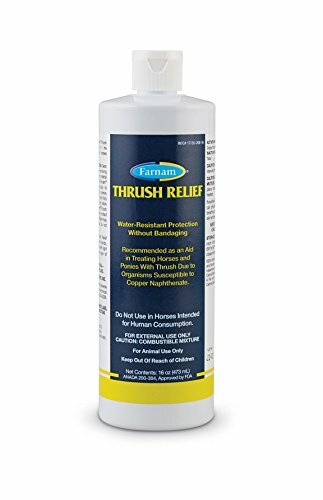 Farnam Home and Garden Thrush Relief offers aid to horses and ponies that suffer from uncomfortable thrush due to copper naphthenate. Thrush relief is made to be used without bandaging for easy application and is water resistant for long lasting protection. Sold in a 16oz. quantity.